The quintessential diver watch is translated via the 1960s to produce an altogether unique diver timepiece for the vintage collection. 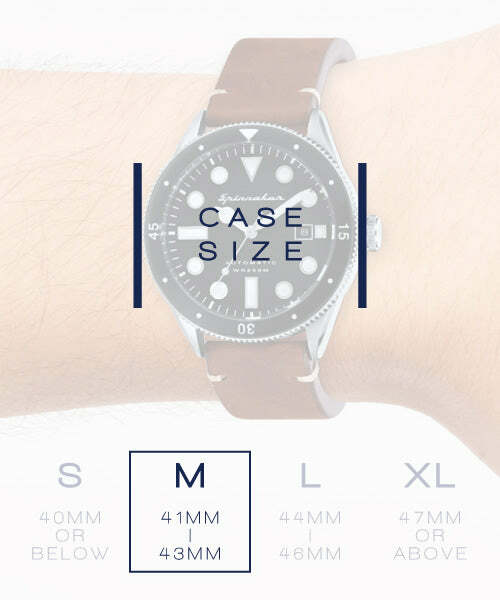 A full bodied diver case with a luminous hardlex unidirection bezel and see through exhibtion caseback offers 20 Atmospheres of water resistance. The striking Mercedes diver hands offer excellent visibility courtesy of swiss superluminous application as also applied on the index. A gently textured background adds both an antiquated edge as well as a diffuser of light to create more contrast and legibility. 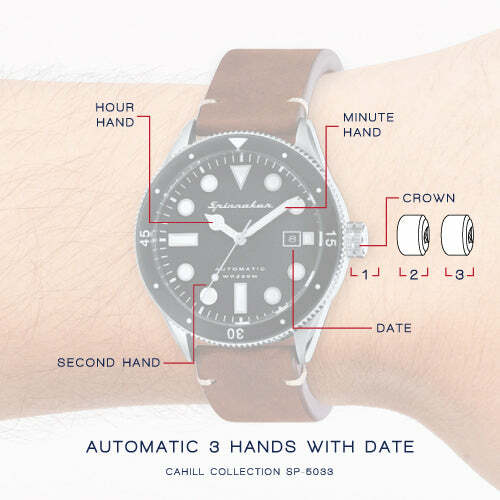 The Cahill hugs the wrist with a sturdy yet supple water resistant leather strap and additionally a heavy diver gauge nylon nato for extra versatility. Vintage Diver Aesthetics coupled with robust, modern day engineering and performance. Precise Japanese Miyota 21 Jewels Self-winding movement with Date Display. Textured Black Dial with Swiss Superluminova C3 Luminous Indexes and hands with date display positioned at 3 o'clock on dial. 43 mm diameter, Solid 316 L Stainless Steel Case with Hardened Mineral Lens and Unidirectional Turning Diver Bezel. Water Resistant to 20 ATM. 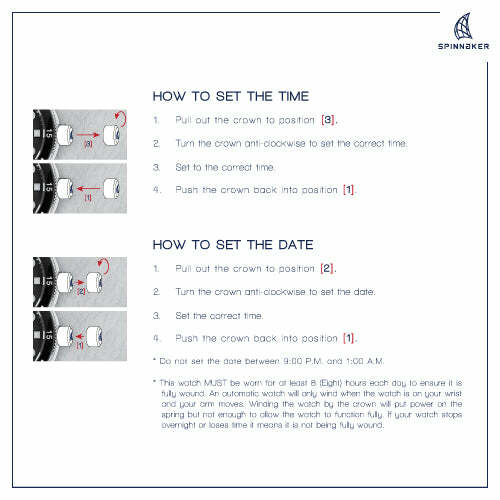 Copyright © Spinnaker Watches. All Rights Reserved.